This service allows you to unlock LG phones by the manufacturer code. Supported are all LG models no matter which network. It is the safest way to unlock your mobile phone without any interference in the phone. To get your unlock code we only need the IMEI number. Make sure that you can enter an unlock code to your LG device, before you make an order !!! Instruction for entering the code for your LG device can be found in the phone description that you wish to unlock. Also before you make an order, check if the LG device is not showing a message "This device is permanently locked" if such message appears the device cannot be unlocked. It means that somebody has entered wrong codes in your device too many times, and it doesn't have an option to enter the unlock code. Newest LG models coming from Metro PCS USA or T-Mobile USA that use a "Device Unlock app", cannot be unlocked by code (there is an unlock code available, but there is no way to enter it into the device). All LG models with "Device Unlock app" can be unlocked by using these services Device Unlock App. Unlocking LG G3 - Code did not work would not let me input anything. Unlocking LG E430 - Excelente Rápido y eficaz. Unlocking - Przyznam szczerze ¿e jestem bardzo zaskoczony, oczywi¶cie pozytywnie, jako¶ci± us³ugi. Ca³o¶æ zajê³a ok 20 minut. Unlocking LG E610 - Kod otrzyma³em natychmiast. Zadzia³a³. Telefon odblokowany w 100%. Polecam w ca³ej rozci±g³o¶ci. Unlocking LG E610 - Kod otrzyma³em natychmiast. Zadzia³a³. Telefon w 100% publikowany. Polecam. Unlocking LG G6 - Simlock odblokowany Czas oczekiwania wyniós³ ³±cznie 17 godzin. Z tym, ¿e z moim przypadku instrukcja LG G6 by³a nieco inna ni¿ u Pañstwa opisywana. U mnie pole do wpisania kodu nie pojawi³o siê po w³o¿eniu karty operatora PLAY (blokada na sieæ O2). Nale¿y wpisaæ w klawiaturze wybierania numeru: 2945#*870#, nastêpnie wybraæ opcjê "Blokada sieci" i wpisaæ w tym miejscu kod "nck". Wszystko sprawnie, gor±co polecam, w zwa¿ywszy na fakt, ¿e znana sieæ sprzeda¿y u¿ywanych telefonów komórkowych na T, zdjêcie simlocka wyceni³a na 100 z³. Unlocking LG Nexus 5X - Thank you for your quick response.I unlock success. Unlocking LG H340N - Gitara, szybko i dzia³a. Polecam. Unlocking LG Nexus 5X - I truly value your effort in helping me on this project. Unlocking LG Spirit - Fast and it worked perfectly. Unlocking LG G5 - After being scammed twice trying to unlock my phones network I found sim-unlock.net. I can confirm for anyone sceptical that these guys are the real deal. I had my unlock code in a few hours and worked fine. They delivered an astar service and I can't thank them enough. Keep up the good work. 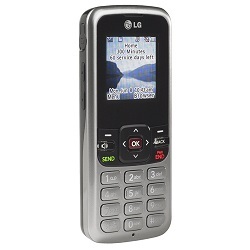 Unlocking LG E610 - Hat alles bestens geklappt. Handy hatte sofort Freischaltung selbständig erkannt, alles andere war dann nur mehr Einstellungssache des Handys. Sehr empfehlenswert und preisgünstig. Unlocking LG K8 - Gracias Funciono a la primera sin embargo mejoren el precio Saludos. Unlocking LG Magna LTE - Excelente, tenia mis dudas, pero fue rápido y se cumplieron mis expectativas, los felicito. Unlocking LG D722 - Rewelacja , kod przyszed³ dos³ownie w ci±gu kilku minut. Super us³uga , sprawdzi³a siê bez obawy. Unlocking LG G6 - Wszystko dzia³a jak nale¿y.